It didn't take a dunk contest title for people to know that Saginaw native Jason Richardson was mad at the rim. Anytime he was airborne within the key, you knew someone was catching feelings and getting posterized. 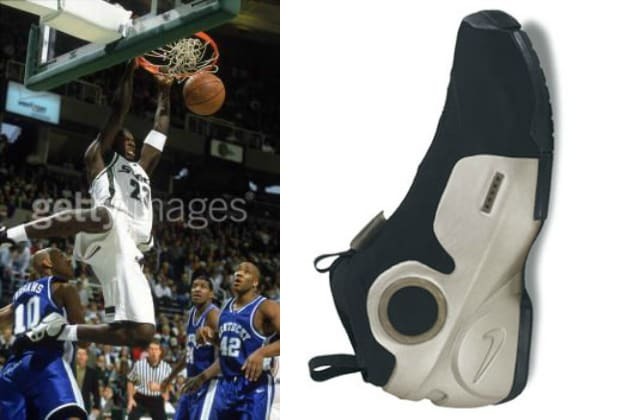 In 2000 Richardson donned the Flightposite IIs, which were best known on the feet of KG. The sneakers offered maximum support and stability allowing players to cut, set, and take off.